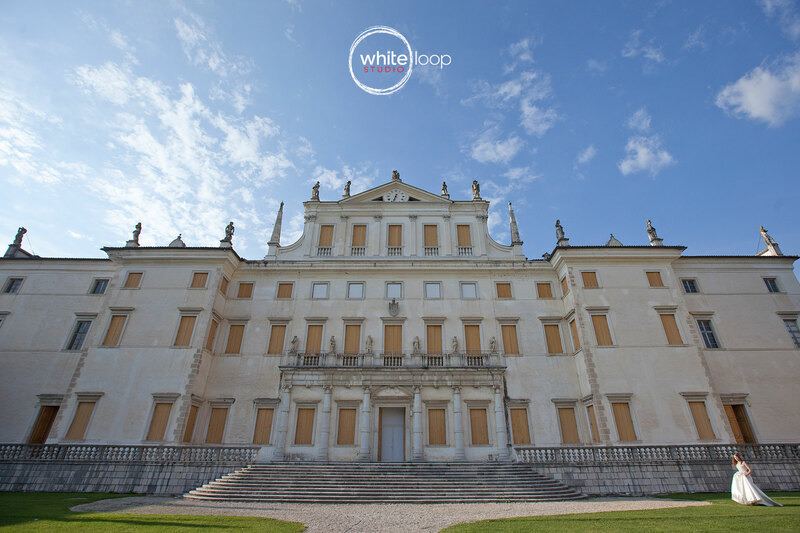 One of the main location for chic and elegant wedding are the historical buildings as villas, castles and mansion. 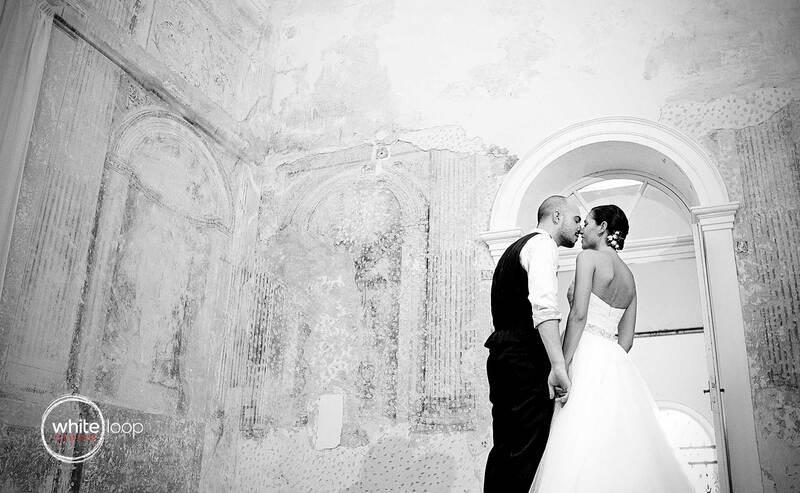 All these places help us to emphasised the beauty of couples and their celebrations. 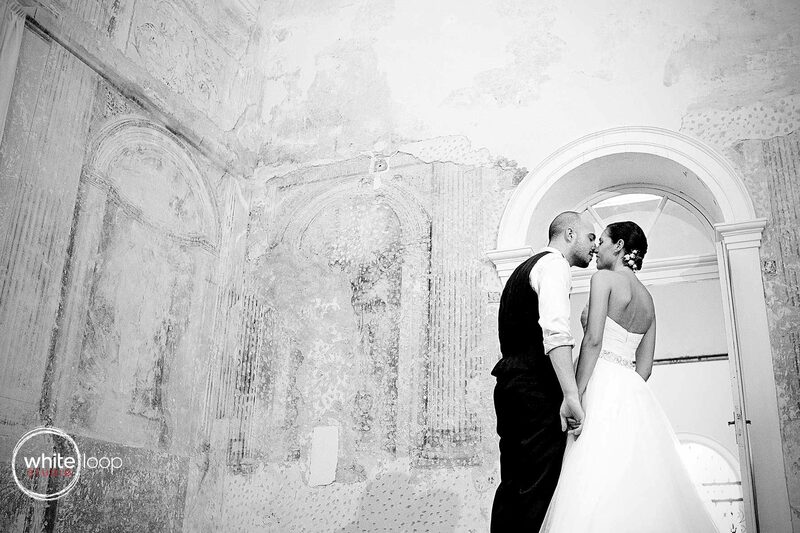 The bride and groom are kissing in black and white in an ancient room with frescos in the historical Italian environment. 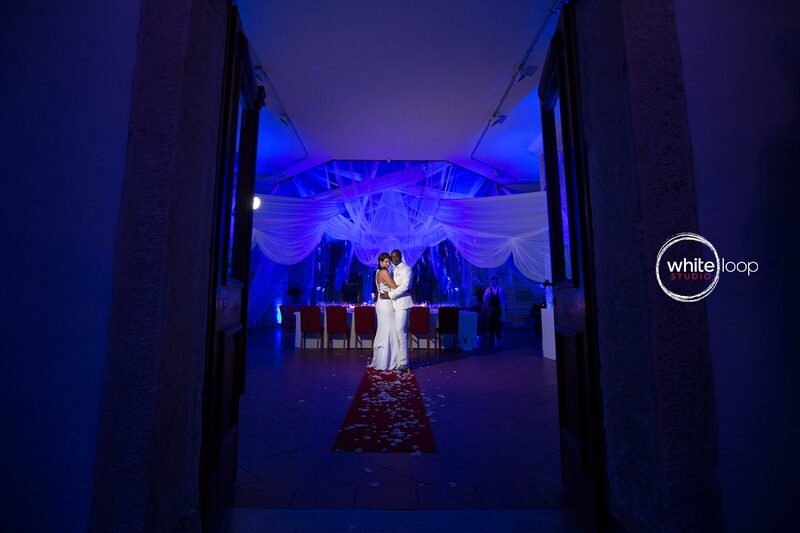 The bride and groom are holding each other in the entry surrounded by beautiful purple flowers. 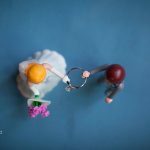 The bride and groom are holding each other in the middle of a beautiful garden meanwhile is the orange sunset behind them. 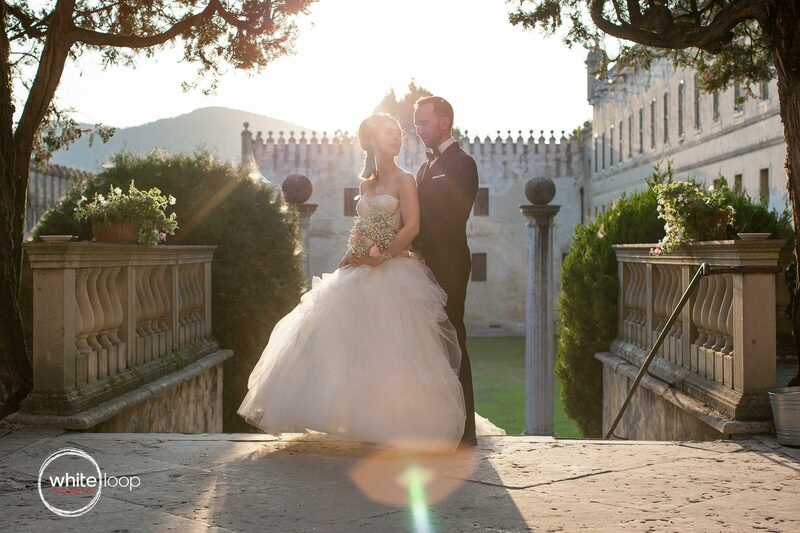 The bride and groom are holding each other in the stairs of the beautiful ancient castle, with a natural backlight. 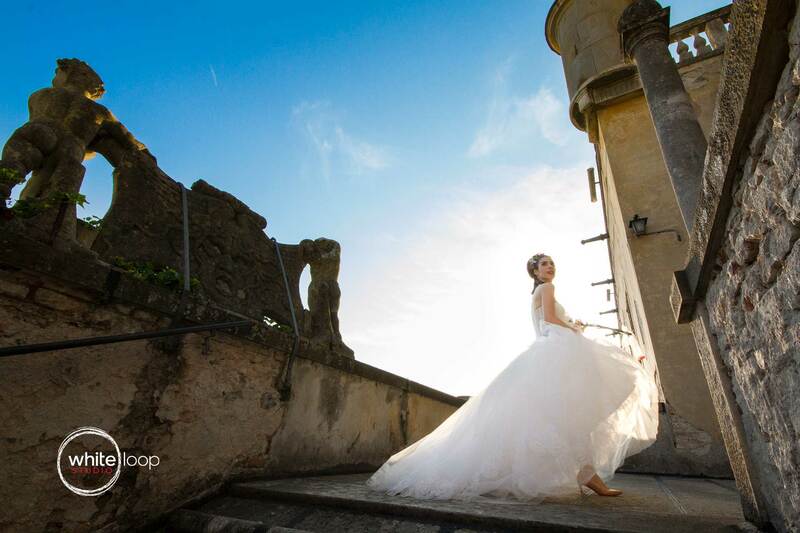 The bride is posing in her wedding dress in the ancient castle of Catajo covering with his beauty the sun. 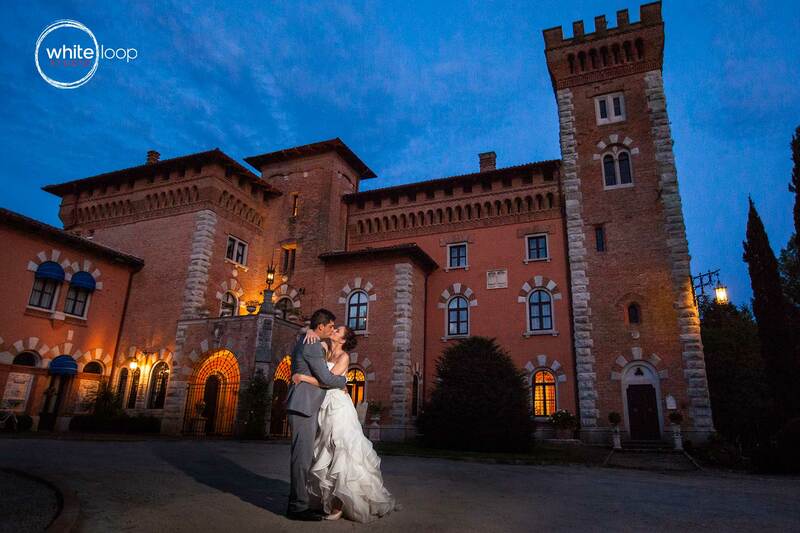 The bride and groom are kissing outside of the castle, while the night time begin. 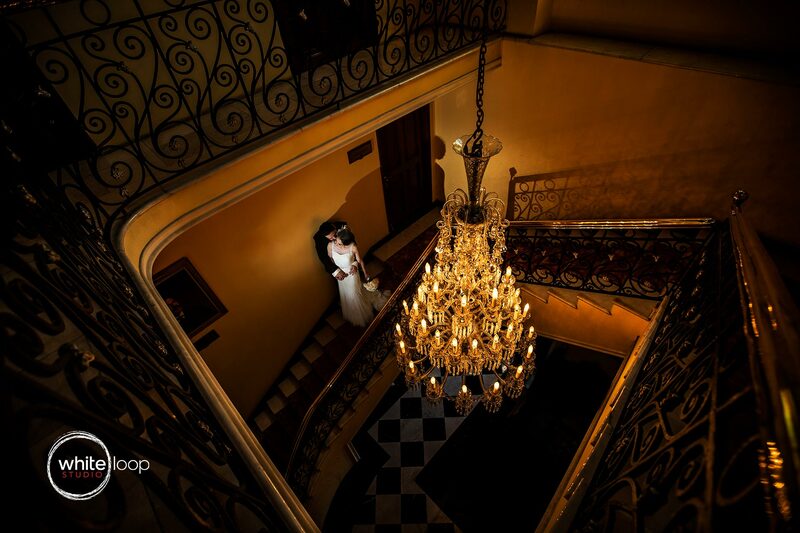 The groom and bride are holding each other in the stairs of an ancient house, illuminated by the lights of the chandelier. 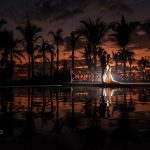 The bride and groom are holding each other in the middle of the salon that is illuminated by some extraordinary neon lights. 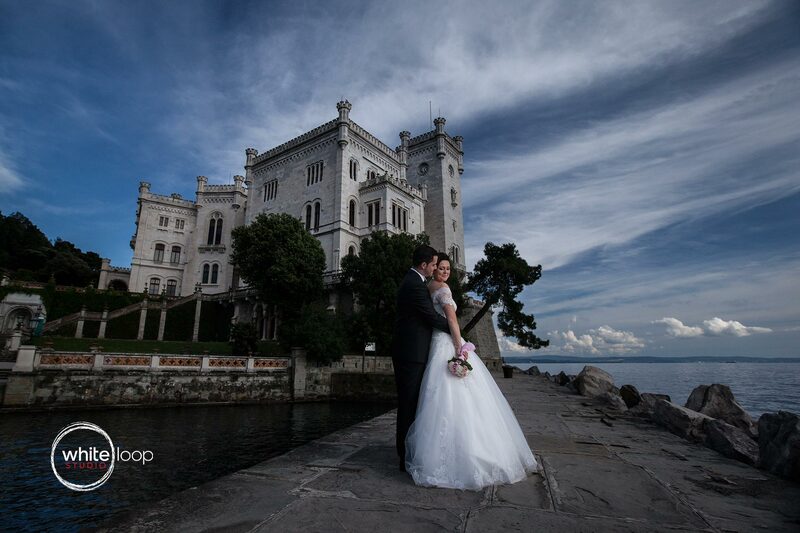 The bride and groom are holding each other on the porch of the Miramare Castle, the famous Maximilian Castle. 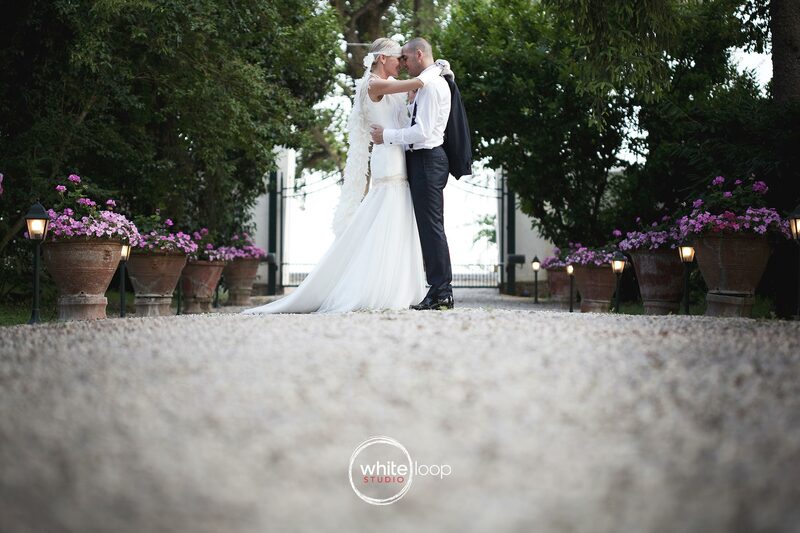 Did you like our weddings in villa? Are your planning one? We can help!